Sacred Rok is a Yosemite-based nonprofit led by rock climber Ron Kauk. We have partnered with Juvenile Hall in Merced County for 9 years, and with Juvenile Hall in San Benito County for 3 years. 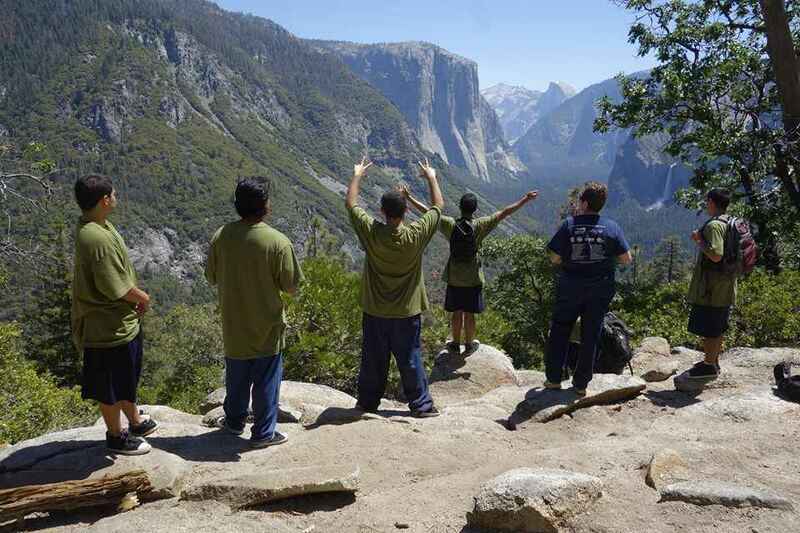 The Merced Probation Department brings the kids up to Yosemite every month, and Ron goes down to their classroom monthly bringing organic lunch fixings. But when the kids get out, they end up back in their old neighborhood, with no support. They often stay in touch with Ron through Facebook and text, and express the desire to come back to Yosemite. We want to offer them the support they need to rebuild their lives. Imagine helping these young people to feel safe and find their voice, knowing that they are loved and trusted. And the Sacred Rok model is all about building relationships - we need a mentor/staff to support Ron Kauk, help with transportation, and build a connection with the kids. "My name is Anthony and I'm glad there was a program like Sacred Rok to give me another chance. Without Mr. Ron Kauk making it possible for us and our Yosemite trips I don't believe I would have come this far. "It's really a blessing when you realize how much a person cares about trying to teach the world and not only what he knows. It was a type of privilege to be with Sacred Rok and achieve more knowledge and motivate me to do better. I lost time with my family but now I'm working as a construction interior repair team member and I'm only seeing me doing better. "Thank you Sacred Rok for giving me another chance and special thanks to you Mr. Ron Kauk for keeping this movement still moving like we always talked about." Introduce a person to the amazing wonders of beautiful and sacred spaces, and they'll be forever changed! I love your program. I am a gardener, mother, grandmother, and a nurse. I give in with the hope that all can be healed by being in nature. It is an opportunity to support Sacred Rok to help youth walk a different path!